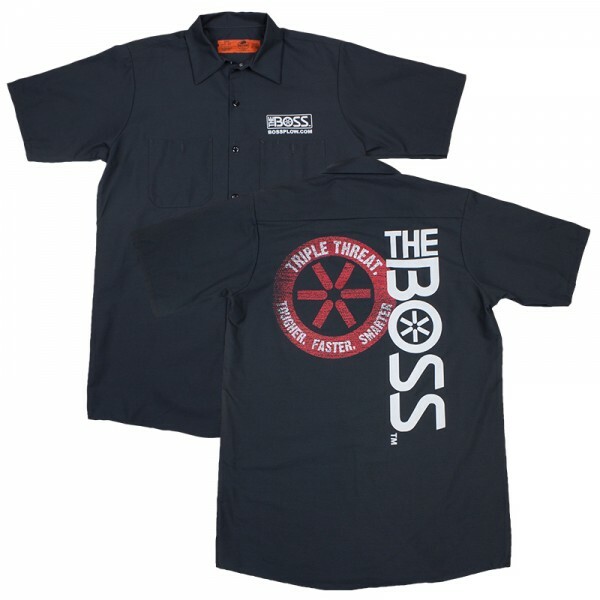 Produktinformationen "Boss "Triple Threat" Industrial Work Shirt"
4.25 oz, Blend of 65%polyester/ 35% Cotton, with soil-release finish. Open collar with Sewn - in stays, Two button-through pockets, and bartacked pencil stall on left pocket. The Boss Snowplow Logo Screen-Printed over the left front pocket. The Boss "Triple Threat" design screen-printed on back. Weiterführende Links zu "Boss "Triple Threat" Industrial Work Shirt"
Abonnieren Sie den kostenlosen SmartChoiceTrading Newsletter und verpassen Sie keine Neuigkeit oder Aktion mehr aus unserem Shop.